Every once in a while, in the course of my day, I find myself wondering: how I ended up in this line of work, traveling around the country spending countless hours engaging with people in their kitchens and cars, shopping with them online and in stores, watching them work and play? Back as an anthropology grad student, I never imagined this is where I would end up. In the Caribbean, yes. In Africa, perhaps. But in the living rooms of West Seattle and Columbus, Ohio? I did not see this coming. When I left Irvine in 1984 to attend college at Stanford, I thought I was going to major in biology. I was going to be a genetic engineer, which was a very cutting-edge thing to do in the mid-1980s. Something happened along the way, and it didn’t take long. How did I get “sidetracked”? 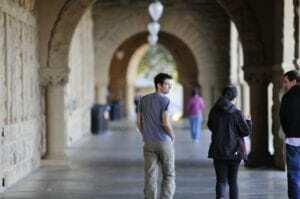 During the week before classes began at Stanford, I was searching for ways to get oriented, and attended some of the activities that were being offered. I decided to attend one of the lectures from professors representing different departments that would expose us to different fields of study. I attended one by a professor who had just returned from the Philippines. His name was Renato Rosaldo and he happened to be an anthropologist. 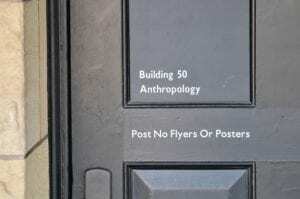 I had heard of anthropology. I had even taken a class in high school with my favorite teacher Don Christenson on the archaeology of the native Southwest, which he called anthropology. But, I didn’t know much more about it. I don’t remember many details of that day, but a few stand out. Dr. Rosaldo, in his early 40s, with thinning shoulder-length brown hair, sat on the front edge of a desk as he spoke to us in a soothing, yet somber tone about a topic none of us were prepared for. While conducting anthropological field work in the Philippine highlands among a head-hunting tribe known as the Ilongot, his wife Shelly, a well-known anthropologist in her own right, fell off a cliff while hiking and died. He was still obviously in mourning. Yet, Rosaldo was somehow able to share this experience with us. His lecture achieved a delicate balance in talking about his wife’s death in a personal, intimate way, yet at the same time reflecting on this tragedy in a manner that was a profound introduction to cultural anthropology. He told us how the Ilongot knew what to do after his wife died, their culture and direct experience with death provided both a process and a know-how. That is, they had “rituals” around death that guided and prescribed their actions. They were not at a loss in knowing how to interact with Renato. The pain and grief of his wife’s death were not erased but he felt supported throughout the process. The experience was given meaning by the social world he was in. When he returned to Palo Alto and American culture, he suffered a second loss. What he encountered was almost a reversal of his experience with the Ilongot. His friends tended to “give him space” and even his colleagues at Stanford seemed to not know how to speak to him about what he was going through. He felt a tremendous sense of isolation. Almost a sense of stigma. The response to Shelly’s death, to avoid interacting with Renato, may have felt culturally appropriate to his colleagues, but left him isolated in his grief. The paradox of American culture confounded him: we are culturally rich in technology and economic production, but we have a cultural deficit when it comes to dealing with death. I was deeply moved by his story. It spoke to me on a number of levels. My father died when I was very young, so I could relate to the experience of having a family member die and the profound loss that alters our lives. I was especially touched by how hard it was for him to re-integrate back into his social world at Stanford, a place where I was also struggling to feel at home. I decided to take a leap and enroll in Rosaldo’s class even though it meant already falling behind on the biology track since there was no space for electives. From there, I was hooked over and over again—first by reading Carlos Castaneda’s The Teaching of Don Juan which introduced us to an “inside view” (emic view) of religious experience and “non-ordinary” reality. We could take a shamanic journey vicariously through the book’s narrative. Then Rosaldo introduced us to the work of Victor Turner, a Scottish cultural anthropologist, whose research focused on the study of rituals based on his fieldwork in Africa. What really struck me about Turner’s thought and his book The Ritual Process: Structure and Anti-Structure, was his contention that our worlds are made and unmade through rituals, especially through a set of rituals known as rites of passage. These are the “rites which accompany every change of place, state, social position, and age.” Examples are the ceremonies of birth, childhood, social puberty, betrothal, marriage, pregnancy, parenthood, initiation to religious societies, and funerals. Turner was building on the earlier work of the French anthropologist Arnold van Gennep, who coined the term rite of passage, and his notion that these rites everywhere followed a three-phase structure. The first preliminary phase of “separation” (where the initiate is removed from their previous state), the second phase of liminality (the threshold state in between), and the third phase of “aggregation” (where the passenger returns to the social world in a new state of being). The title of this blog post “betwixt and between,” comes from the middle stage of rites of passage: the liminal stage, where the ritual initiate is in an ambiguous state betwixt and between. I was hooked for good. This was my skeleton key into the hidden closet. There was no going back to biology after this.